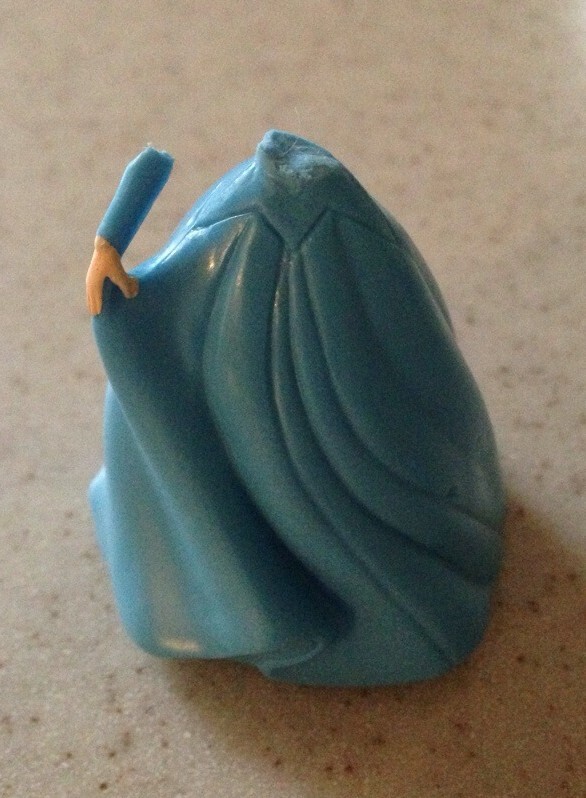 Photographed below is the remnant of what used to be a plastic Cinderella figurine. Notice how, as a result of her impossibly tiny waist in comparison to the rest of her body, the cumulative effect of activity has resulted in her snapping in half and losing her torso/head. Let this be a lesson to all women: we really should eat that chocolate.